When an accident strikes, you might not know where to turn. As medical bills pile up and you miss more and more work, you may be scared that you’ll soon be forced out of your home or apartment, losing everything you’ve worked hard to build. On top of everything else, you might be in intense pain and suffer from sleeplessness or anxiety. 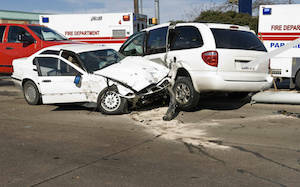 At Slappey & Sadd, we fight to get our clients fair compensation for the injuries caused through no fault of their own. Each case presents a unique fact pattern, and only a qualified Georgia personal injury lawyer can assess the circumstances and pinpoint the correct person to sue. At Slappey & Sadd, our team of experienced personal injury lawyers perform a thorough case assessment for every new client. Personal injury victims suffer injuries to their bodies which result in extreme pain and might leave a lasting disfigurement. They may become disabled and be unable to return to work, or they might withdraw from friends and family. The purpose of the civil law system in Georgia is to provide financial compensation to make up for some of these injuries. If a loved one died in an accident, then their survivors might be able to bring a wrongful death lawsuit to receive compensation as well. Not every personal injury victim will receive compensation for all of the above, but only a qualified Georgia personal injury lawyer can analyze your injuries and estimate how much they are worth in a settlement or lawsuit. The legal system is complicated and appears mysterious to many outsiders. If you’re going up against a powerful company or their insurer, then it is even easier to become intimidated. Some people give up trying to hold the party at fault responsible. Instead of struggling to defend your rights, you should focus on your injuries and on healing. Leave the case investigation and settlement negotiations to an experienced Georgia personal injury lawyer who understands how to build and present a convincing case to a jury. If you or a loved one has been injured in an accident, you may be entitled to compensation for your injuries. At Slappey & Sadd, we have over two decades of experience fighting for victim’s rights. Call us today at 404-255-6677 or send an email through our online contact form. We serve the entire state of Georgia, including Fulton and Newton Counties.